Easy Cheesy Broccoli Chicken Casserole-so simple to make even on the busiest of nights. You family will love this casserole for the taste, you will love it for the simplicity! 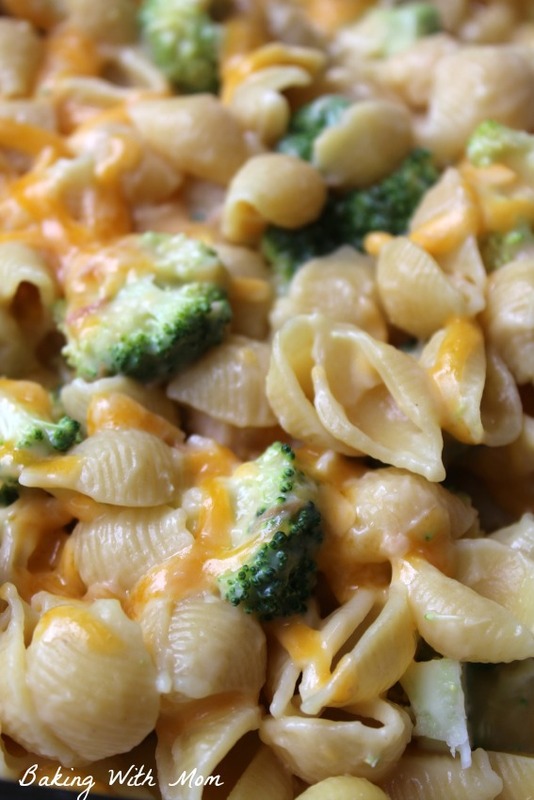 Easy Cheesy Broccoli Chicken Casserole only has a few ingredients. 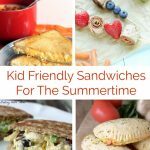 What is really great is they are mostly items you can find in your pantry or in your fridge. Gotta love that, wouldn’t you say?? As I have mentioned before, I live with a family of meatatarians. 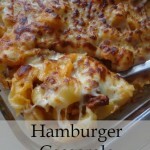 (As with this ever popular Hamburger Casserole recipe.) They love fruits and some veggies, especially if they are grown from the garden, but broccoli is strictly forbidden. However, every once in a while, I make something with broccoli that gets a slight smile and nod. Want to see our latest garden creation? Check it out on Instagram! When you plan ahead, you can make all sorts of recipes spur of the moment. Okay, did you catch that? 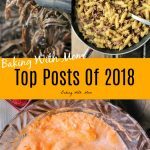 If you plan ahead, you can make all sorts of recipes spur of the moment. This that an oxymoron? What I mean is by cooking chicken and hamburger ahead of time and freeze it, you can make delicious food quickly without waiting for the meat to cook. It cuts the cooking time in half, or more! 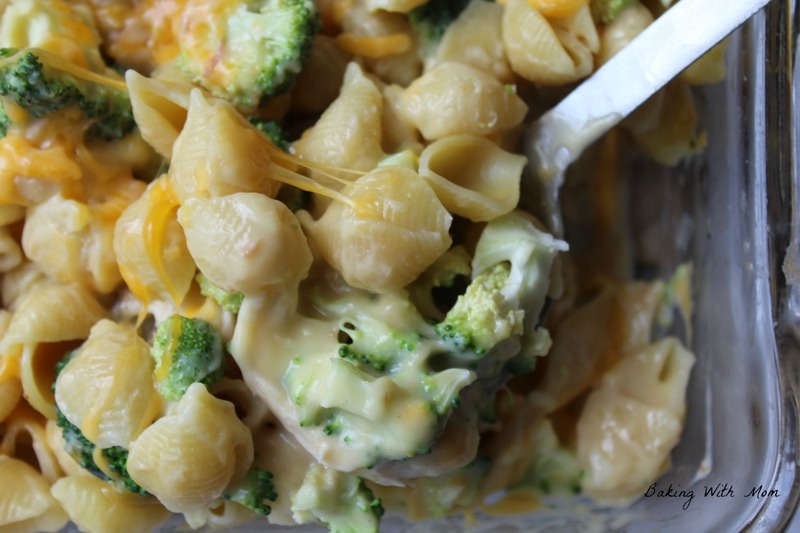 This casserole has all the yummy ingredients you would want such as chicken, broccoli, cheddar cheese, pasta shells, cream of chicken soup. I also add milk but if your family is allergic, I would add water instead. 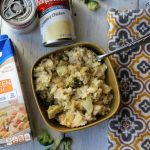 This easy cheesy broccoli chicken casserole bakes up in about 20 minutes, you can use fresh or frozen broccoli and there won’t be many leftovers. However, if there is, you can always enjoy it for lunch the next day. That is always a good thing. 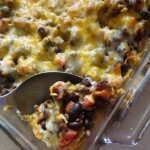 Delicious and easy family friendly casserole with only a handful of ingredients. 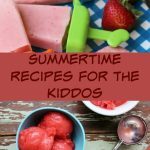 Want more recipes like this one? We would love for you to follow us on Facebook!